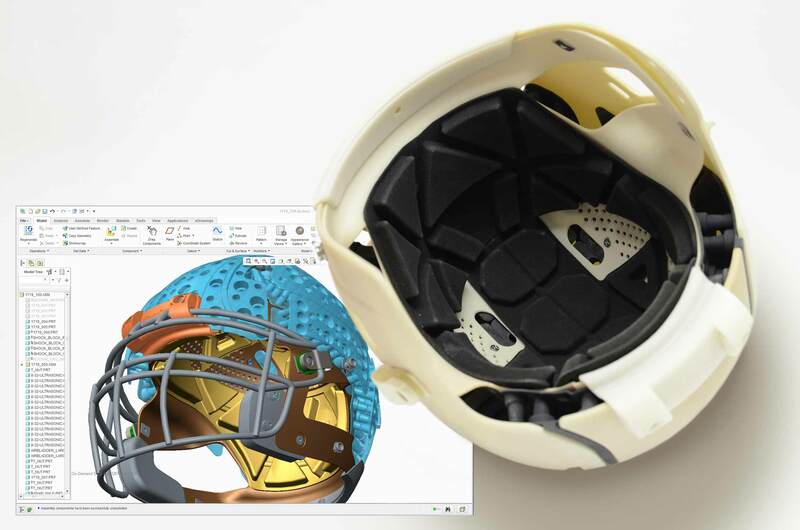 The Evolving Football Helmet | tool., Inc.
By now, everyone knows about the challenges of mitigating concussions in football. 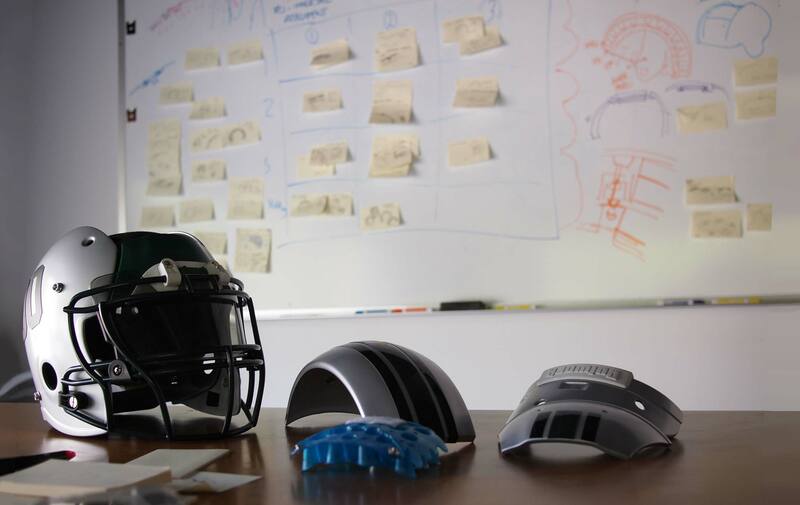 While there is no way to prevent concussions, there are many innovative companies developing products to keep football players safe. But sometimes getting a product to market isn’t as simple as following a straight line. And sometimes there are several companies all working around a similar product idea. 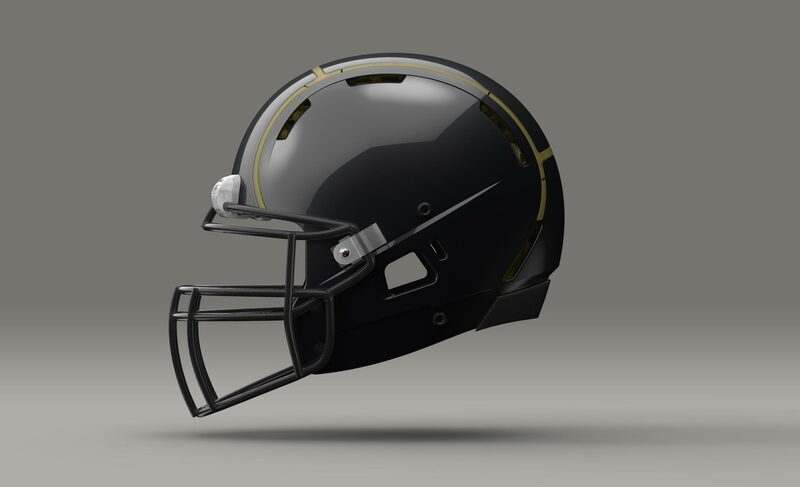 Take for example the development of the Schutt F7, released last year. 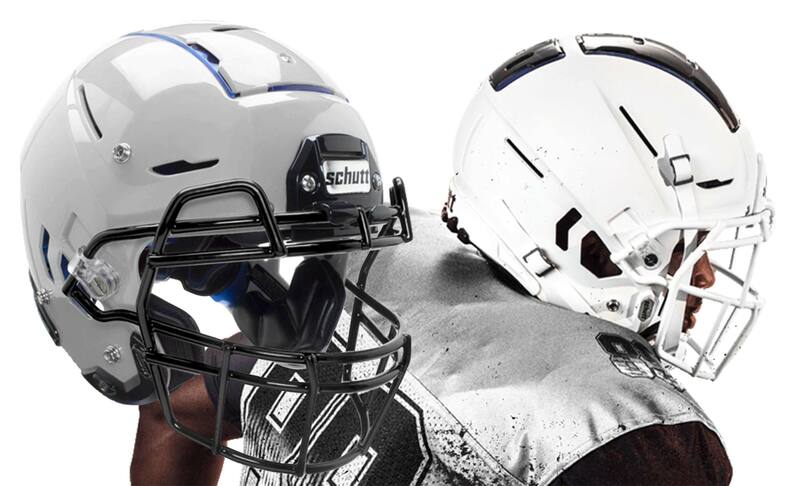 The idea behind the Schutt F7 is that movable plates on the exterior of the helmet can help to deflect impact forces. Michael Princip, now at Schutt, developed a simliar idea prior to the F7. This idea was called the Bulwark Helmet, it that had a fully articulating outer shell and an internal shell buried below the impact padding. He then partnered with JC Wingo, a veteran of the football gear industry and also turned to Tool for our years of experience in impact products. Our goal was to bring further development to the Bulwark vision and there were many sub-challenges to solve. The helmet’s unique system of many articulating outer shell pieces needed some thoughts on how to be attached in a robust manner, reduce pinch and snag points, and simplify maintenance. We reduced the outer shell from 5 plates to 3, by partially combining plates in less critical areas. 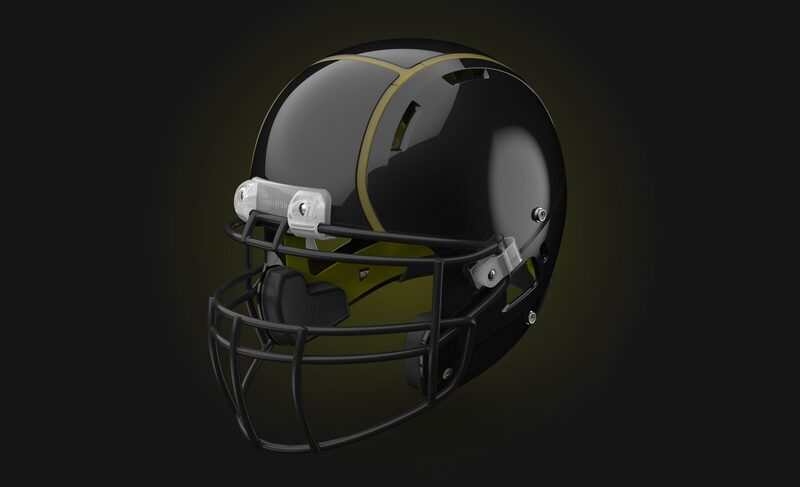 In professional and college football, helmets are refinished to maintain a newly painted look per game. 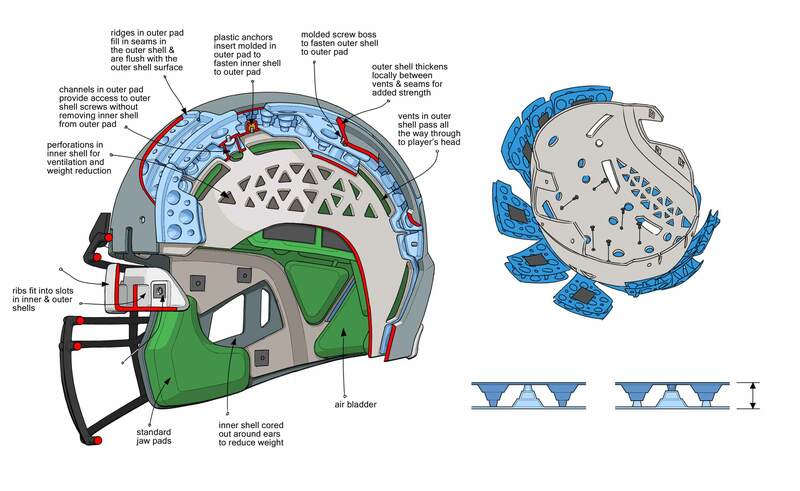 This helmet needed to be able to be disassembled, painted and reassembled easily and quickly, this meant less fasteners and more intelligent assembly solutions. Another major focus for us was impact attenuation in the interior with the development of a unique impact cone structure sandwiched between the shells. We designed, developed and ran impact analysis on a three tiered TPU cone, we called the “wedding cake” design. Its shape was designed to withstand different levels of impact and react differently based on the force and direction. In the end we landed on a very unique design that elevated protection on the playing field. We congratulate Michael and Schutt for advancing their idea and getting this product to market. We at Tool are proud to have been part of this effort, which serves as a great example of the journey of product development. Michael: I graduated from the University of Cincinnati and am fortunate to have found such a fun career with diverse topics. When I'm not at Tool, I enjoy trail running, science fiction, illustration, and video games (the quiet strategy types, less of the bang bang ones).